Bridal hair is always a hot topic for any bride-to-be. Up or down? Curly or straight? Your hairstyle makes such a big impact on your confidence on the day and it has to be right. Whether you are doing your own hair or having a trusted hairdresser waiting in the wings, there is always a perfect style for you whether you have a tiara, a veil or a haircomb. If you are blessed with long, thick locks, let them take centre stage in all of their natural glory. Bridal hair ideas don’t have to be styled and intricate to be special and should remain true to who you are! Textured curls that are bunched up into a bun along with a glittering hair clip makes for a softer and more relaxed look that comes across as romantic and delicate. A tall and intricate up do can be dramatic and great for pairing with a vintage style dress. Matching this hairstyle with a fascinator or bold jewellery will achieve a more authentic look. Having your hair up doesn’t mean that it all has to be gathered at the back. Some brides don’t like this idea as they won’t see the details in photographs, but you could consider having your up-do slightly on one side to show off your styling or your hair accessories, whilst leaving a little hair loose at the front for a soft and charming look. Braiding the font of the hair around to the back of the head is a simple yet popular style that many brides are opting for. 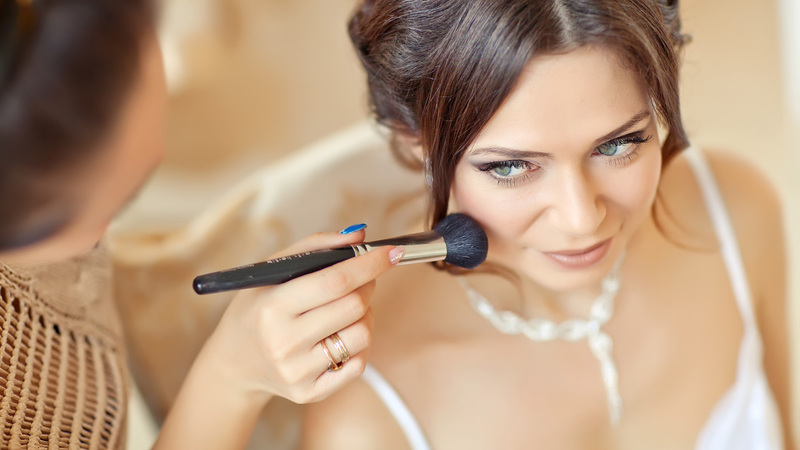 It is a stunning look that works perfectly with an understated dress and natural make up. Complete this look with a delicate diamante haircomb or with fresh flowers. If you don’t usually wear your hair up, it might not be the best idea to have it like that on your wedding day. It would be a sudden change and you may find that you are not comfortable on the day. You could opt for a half up, half down style with soft curls pulled to the side which makes the perfect middle ground for any bride. If sparkling clips aren’t for you, then don’t wear one. You shouldn’t feel pressured into wearing something that doesn’t suit your style just because you are a bride. Loose and tousled waves can be coupled with flower crowns for a more relaxed, boho style which is the perfect look for a country or a rustic wedding. Tightly styled or curled hair may not be your cup of tea, and it is not the only choice. Simpler and more natural hairstyles with long loose hair is in fashion. Just pin back small amounts of hair for an elegant and stunning look that will allow you to feel yourself on your special day.